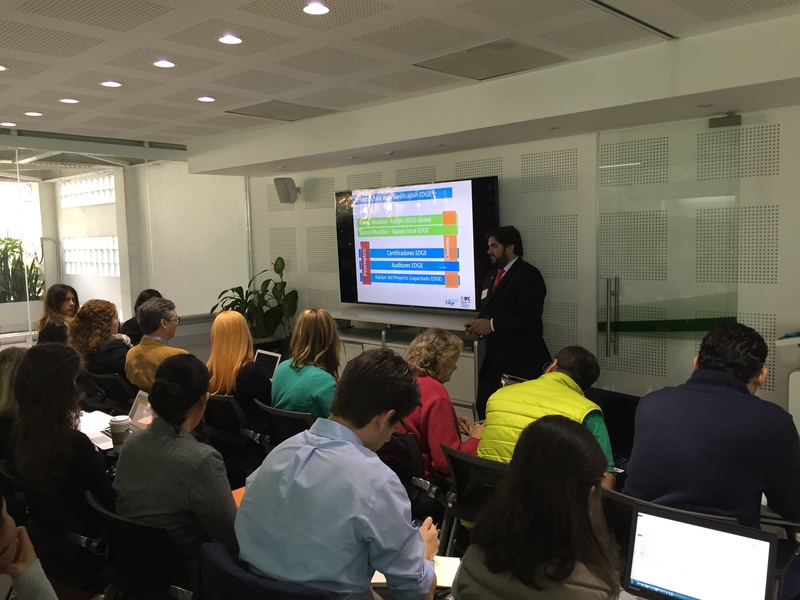 The meeting room at SUMe’s (Sustentabilidad para México) LEED Platinum headquarters was packed this week for a sold-out workshop on a new green building tool that is catalyzing mass-market transformation: EDGE (“Excellence in Design for Greater Efficiencies”). Many of the professionals in attendance have helped make Mexico the seventh largest market for green building in the world. Now, they are continuing to uphold their commitment to building a sustainable future for Mexico by learning the ins and outs of the EDGE rating system. An innovation of International Finance Corporation (IFC), EDGE is a green building certification system for new residential and commercial buildings. EDGE requires that a green building achieve a projected minimum reduction of 20 percent in energy and water usage, as well as embodied energy in materials as benchmarked against a standard local building. EDGE comprises a universal standard, a software application and a certification system. It empowers developers and builders to quickly evaluate and compare estimated costs for design strategies targeting reductions in energy use, water use and embodied energy in materials. Cost-effective strategies integrated into the project design are then verified by an EDGE Auditor and certified by GBCI at a modest cost. Professionals at the EDGE training in Mexico City. This training is the first offered by GBCI in Latin America, focusing on preparing project team leaders and EDGE Auditors to bring green building to the mass market. We look forward to seeing great things from the professionals at this training and the uptake of EDGE in Mexico and Latin America.